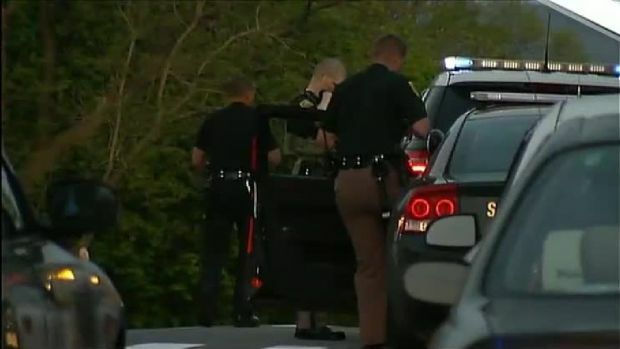 Authorities confirm a suspect is in custody after two police officers were shot early Friday morning in Manchester, New Hampshire. Ian MacPherson, 32, of Manchester, was apprehended around 5 a.m. and charged with two counts of attempted capital murder, the office of Attorney General Joseph Foster announced. Both officers are expected to survive the shooting — one was sent home from the hospital Friday, the other moved to Boston to continue his treatment closer to his family, authorities said. The incident began around 2 a.m., when Manchester Police Officer Ryan Hardy saw a man who fit the description of the suspect in the robbery of a Shell gas station on Thursday. Hardy radioed in that he saw the suspect, then radioed again that he was shot, according to the attorney general's office. He was wounded in the face and torso. Ian MacPherson faces charges of attempted capital murder after two police officers were shot early Friday morning in Manchester, New Hampshire. That incident happened near the intersection of Second Street and Ferry Street. About 30 minutes later, officer Matthew O'Connor saw the suspect on Rimmon Street near Putnam Street. 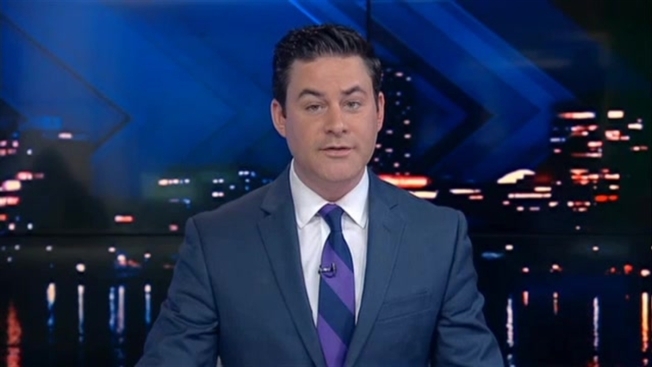 When he told him to put his hands up, Foster's office says, the man shot O'Connor in the leg. Officers returned fire, but the suspect fled into the woods. MacPherson was later taken into custody, authorities said. It was not immediately clear if he had an attorney. "There was a large volume of shots, possibly 10 to 12," Putnam Street resident Bob McKenna told necn. "Within a minute there were 15 cruisers... the street was covered." "Police rolled up, had their guns drawn and told us to stay in the house and out of the windows for our safety," said Floyd Johnson, another area resident. The massive manhunt forced people to stay inside their homes for hours. 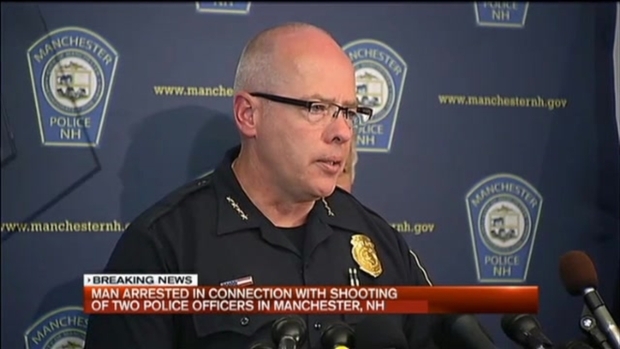 There are still no arrests after two police officers were shot in Manchester, New Hampshire. Both officers are expected to survive. "My mom came in and said 'get on the ground,'" said neighbor Breanna Violette. "There's police everywhere. They have guns." By noon, police announced the area was safe - but they did not confirm an arrest for several more hours. Hardy is in stable condition at a hospital in Boston, according to Foster. O'Connor was treated and released from a local hospital. Before joining Manchester Police, Hardy served from 2012 to 2015 as an officer with the Derry Police Department. "Hardy served the Town proudly and well," Derry Police Chief Edward B. Garone wrote in a statement. "He was highly regarded by his peers, supervisors and all members of the Derry Police Department. He is in our thoughts and prayers and we wish him a swift recovery." 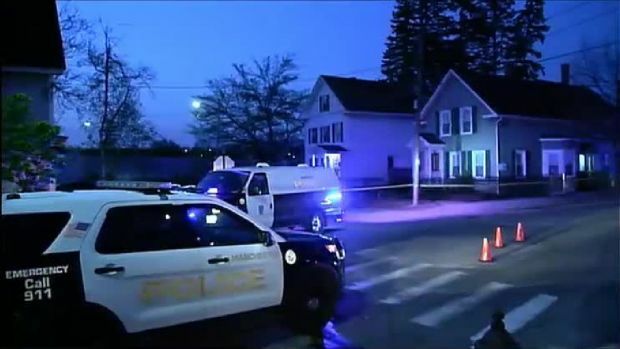 During the investigation Friday morning, there was a heavy police presence in Manchester, with both Massachusetts and New Hampshire State Police helicopters seen circling overhead. Police originally told residents of the area around Wayne, Putnam and Rimmon streets to shelter in place. That was lifted shortly after 10 a.m.
Schools on the west side of the city are closed Friday, according to the Manchester school system. Affected schools include Gossler Park Elementary, Northwest Elementary, Parker-Varney Elementary, Middle School at Parkside and West High School.